Vaxholm is a locality and the seat of Vaxholm Municipality, Stockholm County, Sweden. It is located in the Stockholm archipelago. 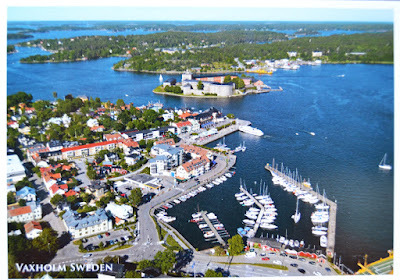 The name Vaxholm comes from Vaxholm Castle, which was constructed in 1549 on an islet with this name on the inlet to Stockholm, for defense purposes, by King Gustav Vasa.